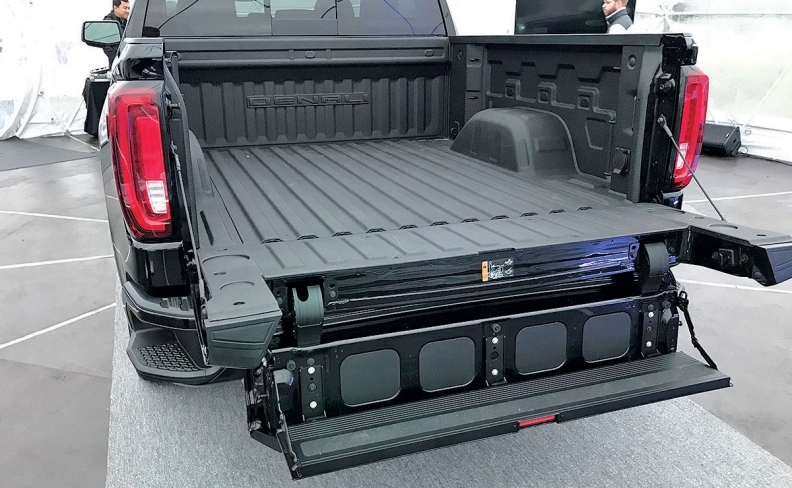 The redesigned 2019 GMC Sierra offers a number of new features, most notably the six-way tailgate, shown below. 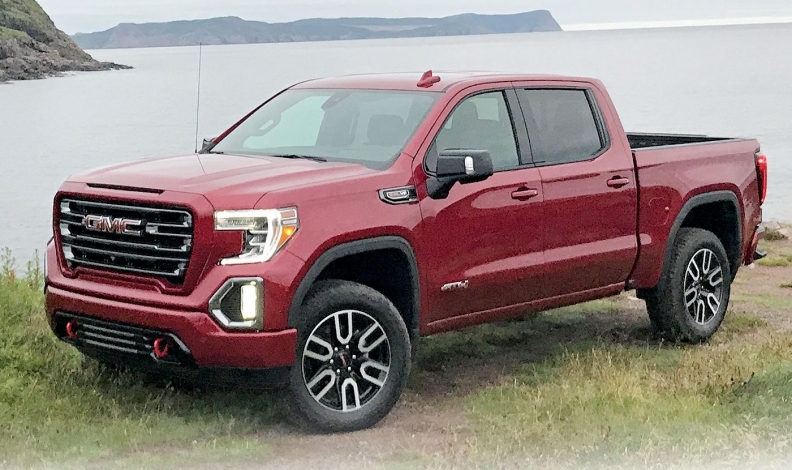 ST. JOHN'S, Newfoundland — General Motors is delivering on its promise to better distinguish the GMC Sierra from its sibling, the Chevrolet Silverado, offering technology and amenities that go well beyond the usual cosmetic differences. In the past, GM set the two full-size pickups apart mostly through styling and pricing. But that's changing for the redesigned 2019 versions, which are arriving in U.S. dealerships nationwide and scheduled to arrive in Canada in the fall. Sierra-exclusive features include a six-way tailgate, next-generation video rearview mirror, large multicolour 3-by-7-inch head-up display and adaptive ride control with active dampers that adjust every two milliseconds based on sensor feedback to keep the truck and whatever it's carrying steady. GMC also will offer an industry-first composite box — scheduled to start production in April — that GM calls the CarbonPro. It replaces the standard steel inner panels and floor with a lightweight carbon fibre composite that is 28 kilograms (62 pounds) lighter. "Some say that the meek will inherit the earth," said Tim Herrick, executive chief engineer of GM's full-size trucks. "I'm betting on carbon fibre boxes and cockroaches. It's just unprecedented strength." The most notable Sierra-exclusive feature is the six-way tailgate that will be standard on the SLT, AT4 and Denali models. 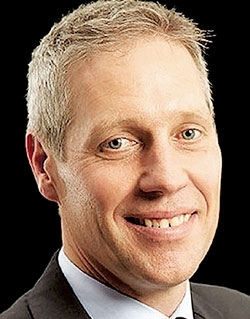 It will be the focus of the initial marketing effort early next year, Phil Brook, GMC vice president of marketing, said last week at a media event here. The tailgate's multiple positions allow it to be used as a standing workstation, a step for climbing into and out of the bed or as a seat. An inner tailgate, part of the primary one, can fold down for easier loading or be used as a step, among other uses. The inner gate is also part of a load-stop feature to help keep cargo in place when the main tailgate is down, and can be used as an exterior table when the main gate is up. "It's a complicated solution that was very difficult to engineer, but it seems so simple," said Matthew Noone, GMC director of exterior design, who held unofficial customer clinics of the tailgate by leaving it open at retail locations such as dealerships and Home Depot stores to gauge responses. 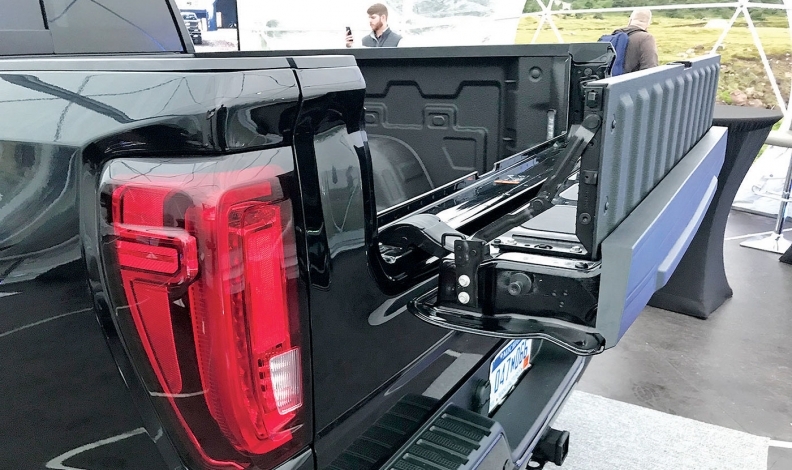 The new tailgate has been more than three years in the making, and GMC officials are continuing to find new use cases for it as the pickups arrive in U.S. showrooms, including the addition of lights and speaker accessories that dealers will install. "We're going to sell trucks just because of this gate," Noone said. In the United States prices for the redesigned Sierra, like its Silverado sibling, decreased on some lower trims, while rising on the higher models because of additional standard features. Canadian pricing hasn’t been announced. Noone: "We're going to sell trucks just because of this gate." Trims for the 2019 Sierra models in the United States are base, SLE, Elevation, SLT, AT4 and Denali. Starting prices range from US$31,095 for an entry-level regular cab truck with a long box to US$56,195 for a crew cab Denali model with a short box. All prices include shipping. So far, GMC Canada has only highlighted the AT4 and Denali on its website and hasn’t mentioned price, yet. Brook said GMC expects AT4 off-road models to grow to 10 per cent or more of Sierra sales. He said, "We see a spot in the market that no one's doing, and that's premium off-road.